On their second record, the Columbus, Ohio quartet play away the pain. There’s a fine line between growing weary of the world and giving up on it. The latter marks a political and emotional dead end, but the former can open the door to constructive thought. Growing tired of something grants space for dreaming up its replacement. In the ’90s, guitar bands like Dinosaur Jr. and Sonic Youth managed to funnel their weariness into restive stews of noise that approached political quandaries from an oblique angle. When Kim Gordon asked, on “Kool Thing,” “Are you gonna liberate us girls from male white corporate oppression?,” she already knew the reply. It’s the asking that counts, even if you’re already sick of the answer. Following this sly template, the Columbus, Ohio band didi eschew the blunt force of punk, investing their political frustrations instead in the more subtle vessel of melody-rich noise pop. Their second album, Like Memory Foam, darts in and out of the personal and political. 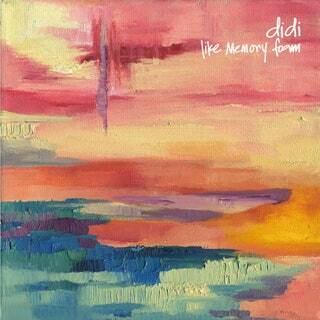 Breakup songs mingle with calls for the obliteration of the old guard, and didi treat both subjects with the same swirling mix of gravitas and irreverence. Interpersonal frustrations and political oppressions both cause suffering, after all; the body buckles in the same way no matter the source of the pain.